christmas | All Eighties Movies. All The Time! 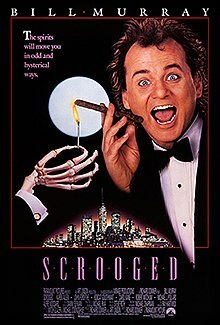 This week before Gidgit heads off to Hawaii we round out our Xmas double with the great retelling of Dickens’ work as acted by Bill Murray… Scrooged! 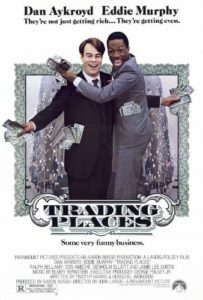 This week we laugh all over again at the hilarious comedy from 1983 Trading Places. We’ve got Dan Aykroyd, Eddie Murphy and the gorgeous Jamie Lee Curtis. Also – The Retro Cinema legend, Frank Oz! It’s Christmas and we’re all off to the Nakatomi building for a Christmas party. Should be fun right? 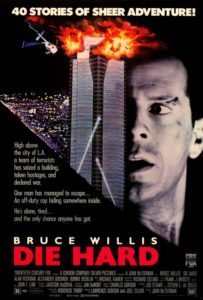 Join Gidgit Von LaRue and Angryman as they head to downtown LA for their Christmas Podcast of the 1988 action film that gave Bruce Willis his big role as NYPD Cop John McLane. This is the last podcast for 2016. But fear not we will be back on January 5th with the brilliant When Harry Met Sally.